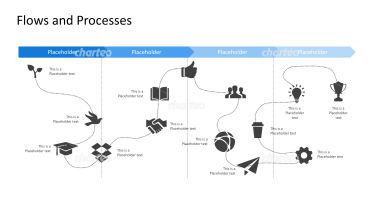 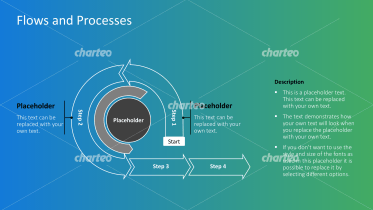 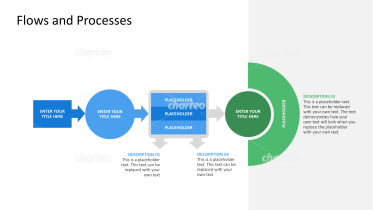 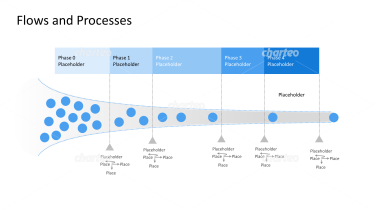 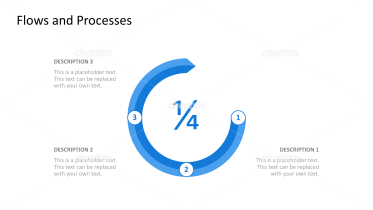 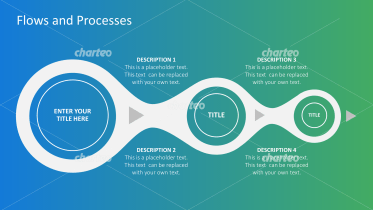 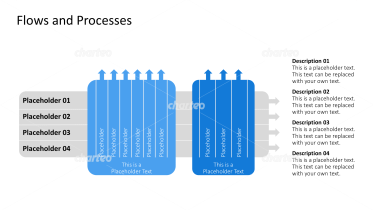 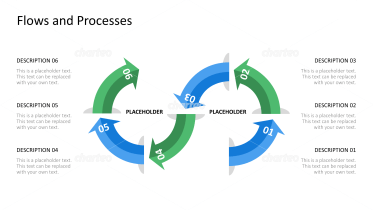 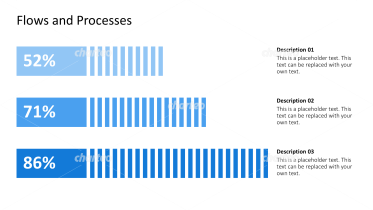 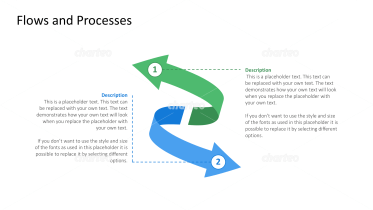 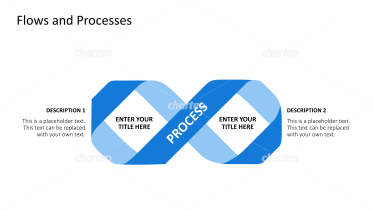 Flow and process diagrams are excellent for visualizing the succession of different steps, stages or development of a project. 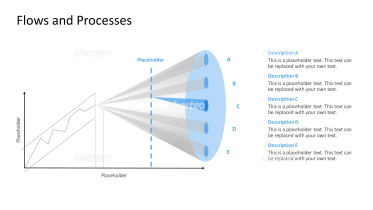 These clear representations facilitate the planning of successive steps or necessary tasks. 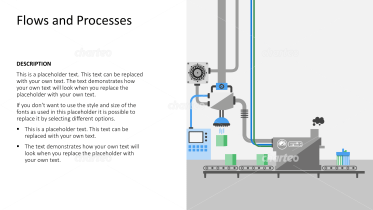 Even complex production and work processes can be illustrated with our diagrams, allowing you to streamline teamwork or cooperative partnerships. 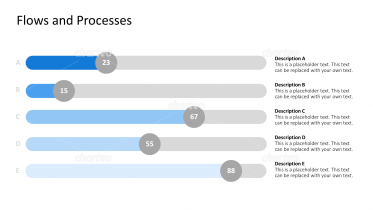 Graphs can be used to measure progress, development, and to incorporate important milestones or project conclusions. 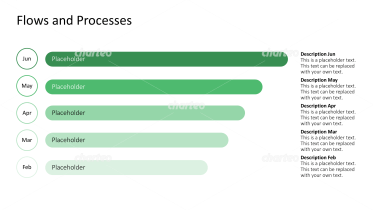 Gantt diagrams are a useful tool for project planning, providing timelines to visualize activities and tasks clearly. 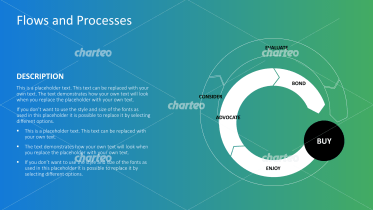 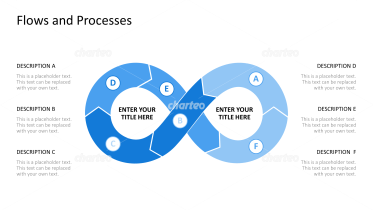 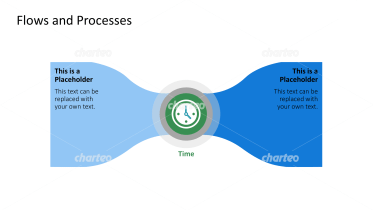 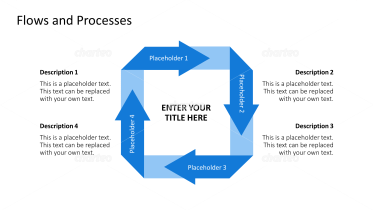 Paths, roads, and timelines can be used to illustrate linear processes, while cyclical developments can be illustrated by circular diagrams. 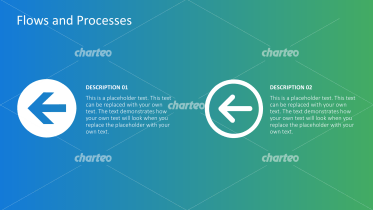 Responsibilities, work distributions, topic areas and corporate divisions can also be split into different chart segments. 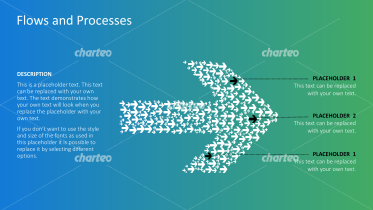 Use our extensive selection of arrows to highlight the direction and speed of a project’s development, the loading or unloading of individual activities, or the forks in decision-making situations. 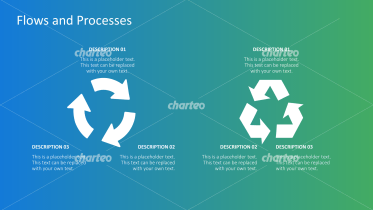 Arrows can be used to show the different elements of a cycle and their interactions, or to display the recycling chain. 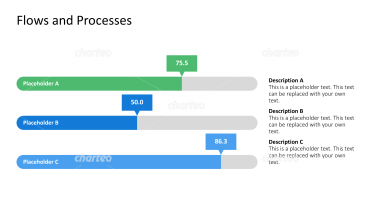 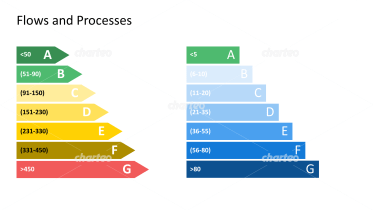 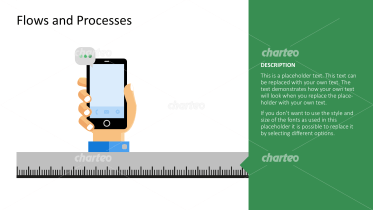 You will find the appropriate graphic for any application from linear flowcharts, looping, funneling, or stairway diagrams, to Sankey diagrams that proportionally represent the flow quantity. 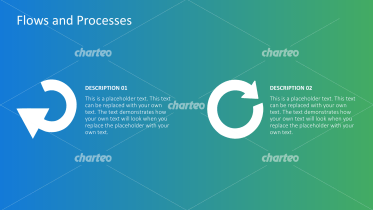 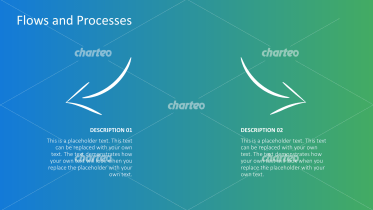 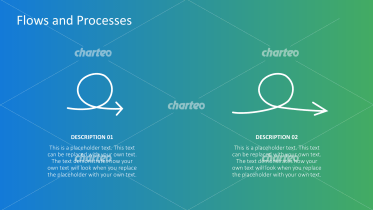 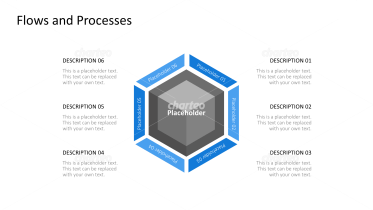 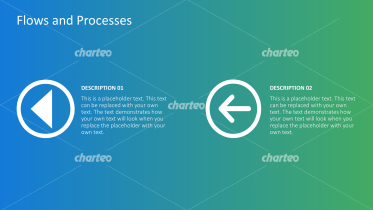 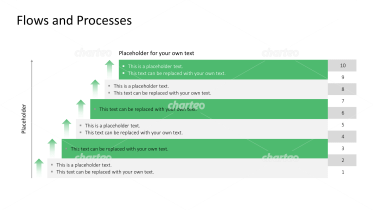 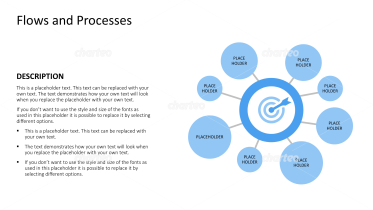 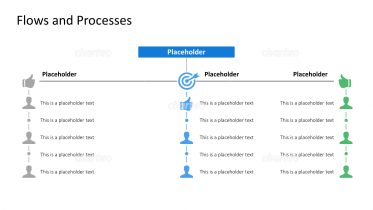 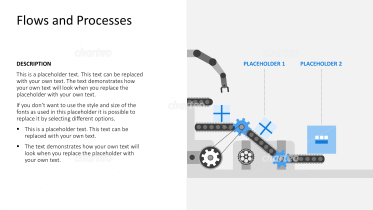 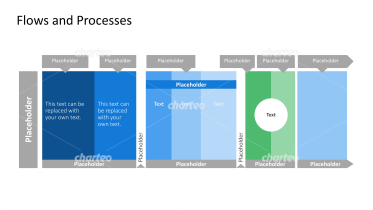 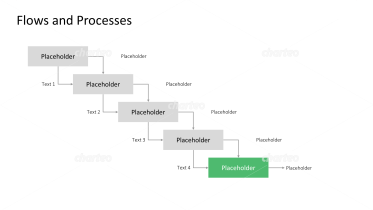 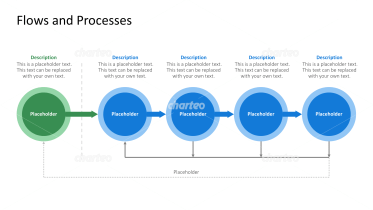 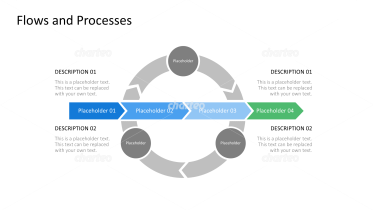 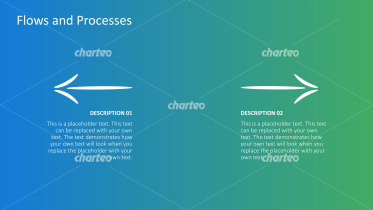 Explain your production and business processes clearly by inserting your text into the prepared placeholders. Impress your audience with professionally presented organizational planning.